Your Are Here → Home → News → Firefox 1.0 is officially released! Firefox 1.0 is officially released! For all you web surfers out there who are sick of getting spyware, viruses and countless other problems … your knight in shining armor has arrived! 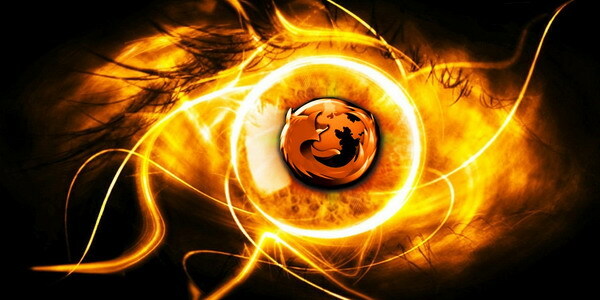 Firefox is a web browser that actually works, complies with standards, and is much more secure than Internet Explorer. For most browsing, it works wonderfully! On the Mac I still prefer Safari, but I keep Firefox on hand as well. On the PC, there’s no question – Firefox all the way. Currently, most of the sites are being swamped, so Ross has been so kind as to post a link to a mirror of the FTP server. For anyone running Firefox on OSX, have I got a necessity for you! Firefoxy is a nice little app that will replace those old X11-style UI controls with some smoother ones that are a tad more easy on the eyes. It’s not like having the aqua controls of Safari but it definitely is an improvement! Also, keep your eyes open – in the near future I’m going to be posting a review of some Firefox extensions (cross-platform only) that I enjoy. Apparently I have a really good reputation with my friends. While playing a game last night ( “What were you thinking?” ), I was voted as being the one most likely to be arrested. It was later qualified that it is only because I am so stern in my convictions and willing to stand up for what I believe … but I guess that doesn’t really matter if I’m behind bars! It’s always fun/interesting/funny to see what others think of you when crazy questions are asked, especially in games that ask really bizarre stuff. Y’all better watch out now – now that I know I’m already pegged for the slammer, I just may have to live up to that.